What would you do if you found out your very own Aunt Jane was the famous author of Sense and Sensibility? Jane Austen was a very private person and throughout her career as an author she seemed to shrink from the personal acclamation that arose from the publication of her novels. Whilst her literary pursuits had always been celebrated within her immediate family circle by being read, performed and discussed, very few of her friends read her novels in their draft form. …the two of them, looking at the novels in the Alton Circulating Library, saw Sense and Sensibility lying on the counter. Anna picked up the first volume. ‘It must be nonsense with a title like that’, she said and put it back again. Jane watched her amused and silent. Jane had always expressed her desire to remain an anonymous writer and so was quite dismayed when her brother Henry spilled the secret to some acquaintances in 1813, concerning the author of the newly published Pride and Prejudice. In 1814 Mansfield Park was published, and it was sometime in this year that Jane’s nephew, Edward Austen (later Austen-Leigh), son of James Austen, discovered that his Aunt Jane was a famous author. He was only sixteen at the time and, on finding out the truth, wrote the following poem to his Aunt. You might have a good chance of becoming his wife. By Edward Austen-Leigh, Jane Austen’s nephew. 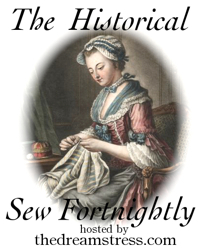 By 1815 many people had discovered the name of the famous authoress, even the Prince Regent. Instead of making her a countess, as Edward Austen had suggested he should, the Prince invited her to ask his permission to dedicate her next novel, Emma, to him. She did so, more because she did not wish to cause offence to such an august person than because she was delighted by the idea. 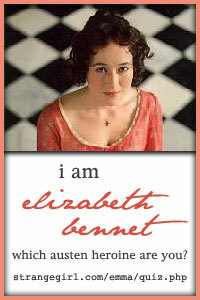 Her last two novels, Persuasion and Northanger Abbey, were published posthumously in 1818. 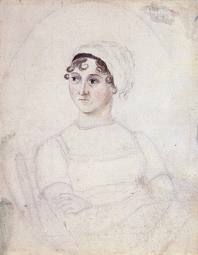 Her brother, Henry, wrote a biographical notice in the preface, announcing Jane Austen to be the author of these works and sharing with her readers some of the history of her life and her last moments on earth. He also mentioned her particular aversion of publicity. Most gratifying to her was the applause which from time to time reached her ears from those who were competent to discriminate. Still, in spite of such applause, so much did she shrink from notoriety, that no accumulation of fame would have induced her, had she lived, to affix her name to any productions of her pen. In the bosom of her own family she talked of them freely, thankful for praise, open to remark, and submissive to criticism. But in public she turned away from any allusion to the character of an authoress. In short, she wrote for the pleasure of entertaining her family and friends, rather than the public acclamation that comes with publication. So what would you do if you discovered your own Aunt Jane to be a famous authoress? Firstly, I thought Edward’s poem was absolutely delightful and showed that he was well read in regards to his Aunt’s writings. Secondly, if I were to discover that my own Aunt Jane was a famous authoress, I would simply have to take to Twitter and tell the world, for I would be bursting with pride. A lovely poem! I read in a Austen’s biography that her brother wrote she did’nt look for “popularity”, but maybe he wrote in this way, because at the time a woman should be always quiet, in her little place at home. Jane Austen wanted to be economically indipendent, but she didn’t want marry without love. Probably she desired to be published and have money from her books. Jane did say that single women had a dreadful propensity to be poor, and I am sure it was true! But I am not sure that writing novels would have ever given her economical independence. Not at 150 pounds a book, anyway! I suppose other writers (male ones, at least) attained additional income by publishing a weekly journal or publishing pamphlets or small books of poems, but usually these men still had other forms of income, as far as I know. Jane’s income was shared between her sister and mother, however her brothers also provided for them in varying ways after her father’s death. As to marrying for love, Jane gave her niece a lot of advice about the importance of marrying someone who had a decent income for a gentleman, yet also marrying someone for whom she felt affection. I also got the feeling that Jane wanted to marry someone who she “felt affection” for, as so remained unmarried. It would certainly be interesting to have tea with her!! Probably the closest we can get is reading her letters, and thereby “hearing” her voice! Um she’s not mine but She is a relation of My Husband’s. My Daughters will be able to claim her as a relation when they are old enough to understand.